You can expect a great experience from beginning to end with Jolliff. We can custom tailor service for you and your business. 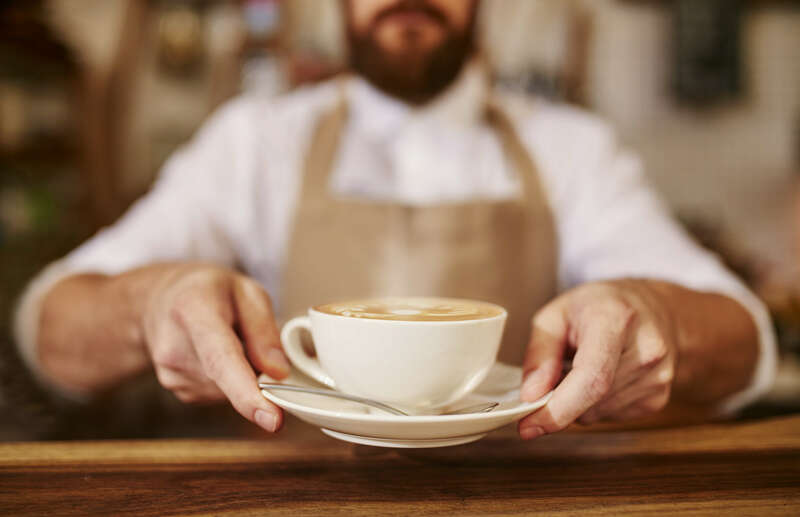 Our team can outfit your office, restaurant, or hospitality business with everything you need, the finest quality coffee, equipment and even maintenance. That’s right. It’s all included. Our mission is to create a coffee plan to help keep your employees in the office and enjoying what they do. We offer many different brewing systems from a single cup to batch brewed. Regardless of what your preference is we have small batch roasted coffee for you. We also carry a variety of national brands. We offer a variety of coffees and teas to suit every taste in your office. We can also deliver a variety of sodas so your favorite drink is always available. Our Refresh Water Stations filter incoming water and dispense clean, cold, great tasting water. They can also be used for fresh, filtered water in your coffee brewer. We provide ice machines of all sizes. We keep them clean and serviced so that your employees can enjoy fresh, clean ice. We can keep you stocked with a wide variety of snacks and drinks to keep your people happy. If we don’t have it, we can find it. We make it easy and convenient. We offer a wide range of bathroom and janitorial supplies. Your account delivery person will make sure you’re adequately stocked with supplies on your routine delivery. When it comes to brewing coffee and tea, no matter how large or small, we’ve got the right equipment you need. We guarantee reliable delivery and equipment maintenance performed by our friendly, uniformed staff. Our coffee is hand selected from the best coffee producing regions of the world. We small batch roast to ensure the quality is in the cup. We want to get to know your restaurant’s specific needs. Identifying your customers’ tastes is our specialty. You are our priority. Great coffee and tea starts with great water without all of the chlorine and sediment that cause taste problems. We can tailor water filtration for your restaurant’s brewed beverage needs. Every detail matters in the hospitality business. From our brewing equipment to each hand-selected coffee, we’ll meet every expectation. Every time we deliver we make sure equipment is brewing properly and that your customers are satisfied. When it comes to your convenience store, wouldn’t you like some convenience too? With our brewing equipment and select coffees, we’ll make it easy. When we deliver, we keep equipment clean and working the way it should. Get started by telling us some basic information about your service needs and the options you’re interested in. Once we know a little more about your business, we’ll create a plan to meet your exact needs. © 2018 JOLLIFF COFFEE. ALL RIGHTS RESERVED.